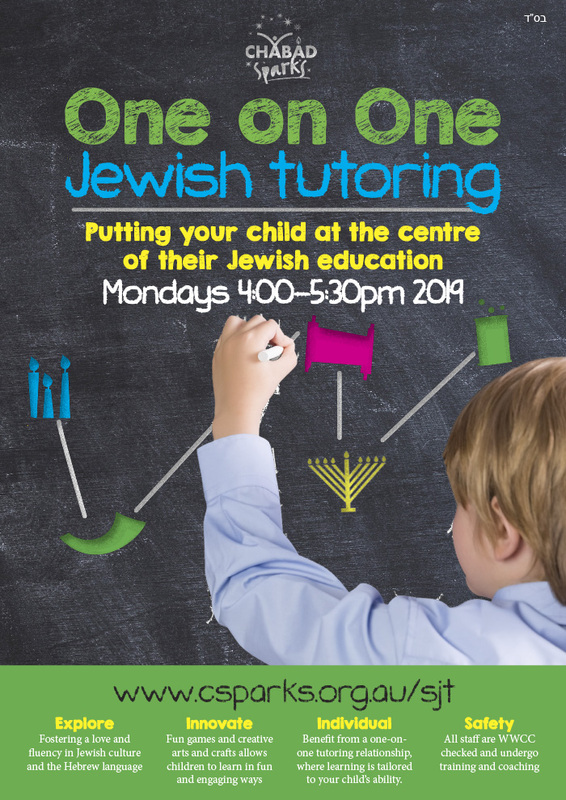 If your child has not attended any overnight, day camps or clubs with Chabad Youth or Chabad Sparks before please follow the link and enrol at chabadyouth.hubworks.com.au. This form only needs to be filled out once and it will be relevant for all Chabad Sparks Programs. This is a requirement. Your enrolment will not be formalised until your hubworks profile is complete. If your child already has a hubworks profile - you can skip to step 2! Email a copy of your child's immunisation record to yossis@csparks.org.au OR mail to Chabad Sparks, 1 A'Beckett Street S.Kilda East, VIC 3183. This is a requirement. Your enrolment will not be formalised until our office has a current copy. This only needs to be sent once in the 2019 calendar year. If you have already sent this to us - you can skip to step 3! If you have already sent this to us, or this isn't applicable for your child - you can skip to step 4! Complete the online Chabad Sparks Tuition form 2019. This form manages the legally required information for childcare purposes such as your personal information, information about your child and certain authorisations. It is a mandatory pre-requisite for booking into the program. This only needs to be filled out once a year for Tuition.